It’s right next to the Olympia so it was the best location for our stay. The staff was very friendly and helpful. Amazing hotel. Great breakfast. Friendly and helpful staff, especially an older sir working serving the tables on breakfast. Around the hotel one can locate 3 different underground lines. 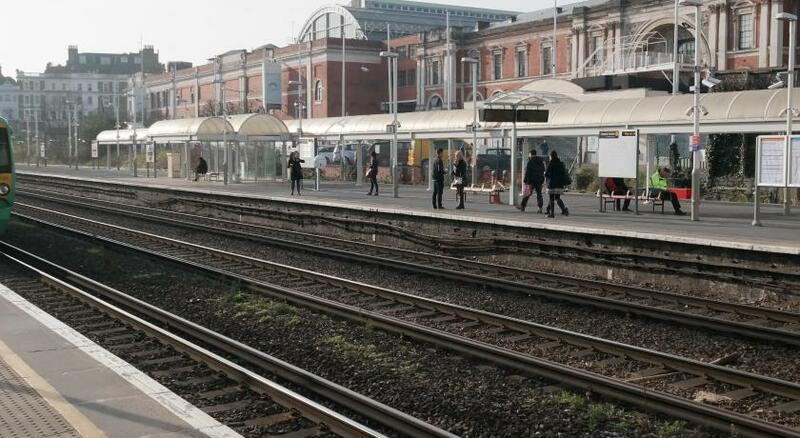 Its convenient for any traveler to avoid connecting trains. Hotel has a Costa as well for coffee requirements. The front desk staff and restaurant manager were very helpful and generous taking care of all my requests in a very efficient and professional way. The roasted salmon was DELICIOUS!!! hotel receptionist noticed my birthday and sent a cake to my room with a celebration card. it was a lovely surprise for me I would like to thank again for kind behaviour. The room we received was nice and quiet. We were able to check in early. The room and bathroom were clean. The hotel is somewhat close to bus line and stores. 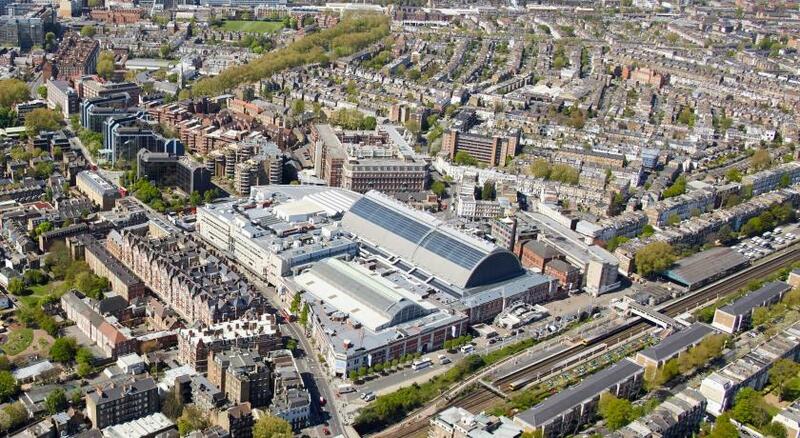 Good location with plenty of parking. Really helpful and friendly staff. Nice public areas and a costa coffee on site. 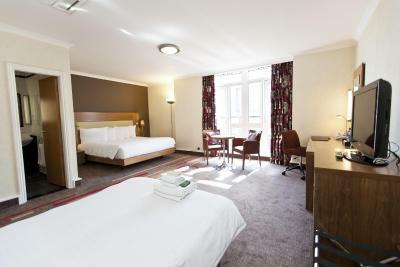 Lovely hotel in a great location and staff were very friendly and helpful. The air conditioning in my room was a GODSEND. After having a long day at Comicon which was literally a 2-minute walk, coming back to my clean, spacious and comfortable room was really special. 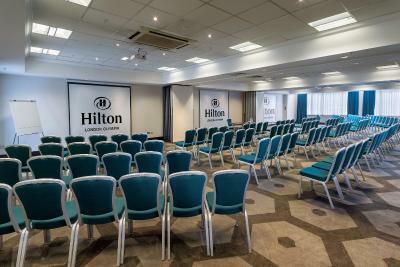 I had a great experience staying with the Hilton Olympia, and would recommend this is where to come for any Olympia based events! 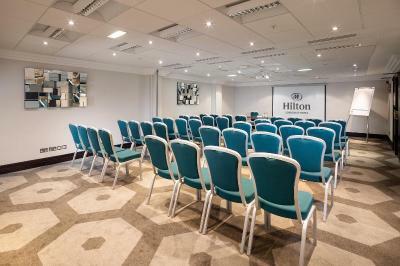 Hilton London Olympia This rating is a reflection of how the property compares to the industry standard when it comes to price, facilities and services available. It's based on a self-evaluation by the property. Use this rating to help choose your stay! 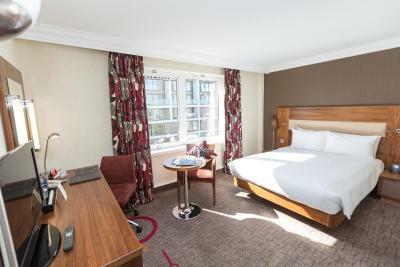 One of our top picks in London.The Hilton London Olympia is located on London’s fashionable Kensington High Street, 650 feet from the Olympia Exhibition Center and within easy access to central London. It offers an on-site restaurant, free high speed Wi-Fi in public areas, a fitness center and spacious air-conditioned rooms. The modern rooms at the hotel feature stylish bathrooms with granite surfaces. 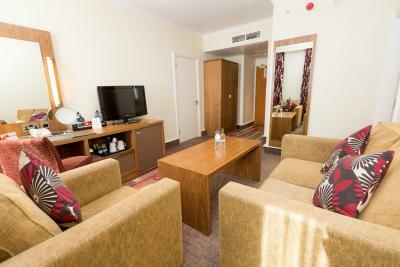 Rooms include a TV with satellite channels, and a large workspace. 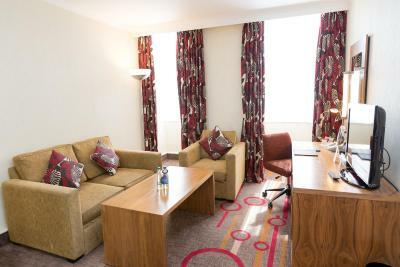 The hotel has an Executive Lounge with free breakfast and refreshments. 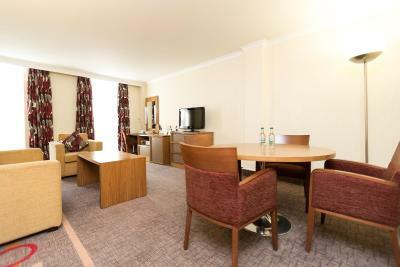 The Executive rooms have exclusive access to the Executive Lounge. 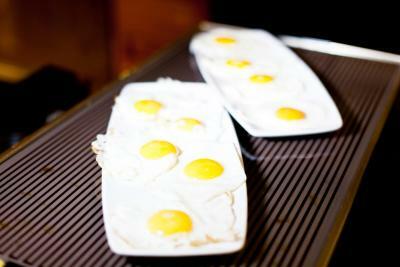 The open-plan Society Restaurant is fresh and modern and serves a menu of British cuisine. 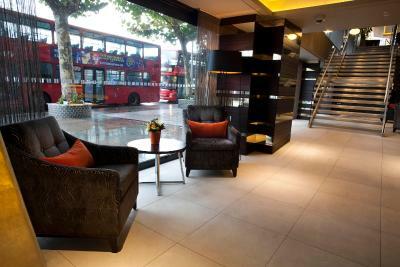 Guests can relax with a drink or small plates in the trendy Society Bar, while there is also an on-site coffee shop. 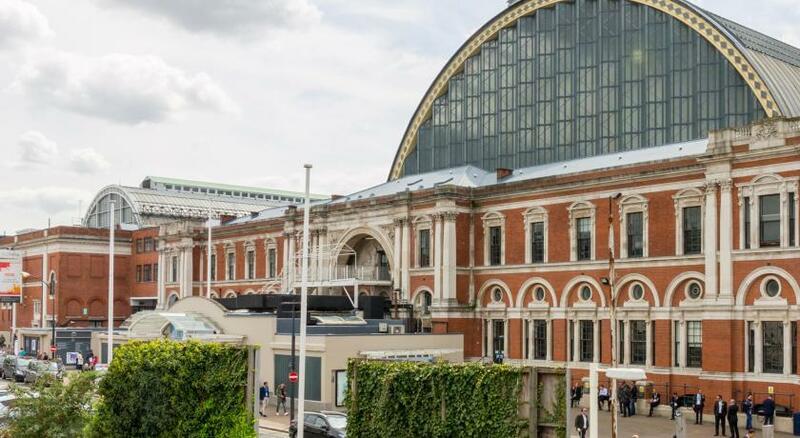 Westfield Shopping Center is within a 15-minute walk, Kensington Olympia overground station is a 5-minute walk and the hotel is a 1-minute walk from both Earls Court tube and High Street Kensington. There is also a well connected bus stop just outside of the property. 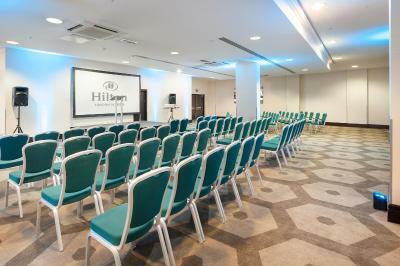 When would you like to stay at Hilton London Olympia? 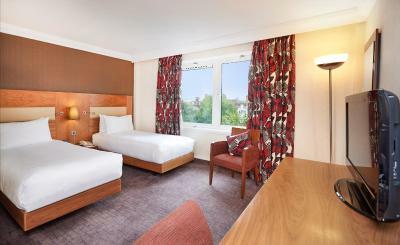 This air-conditioned room features a private bathroom, flat-screen LCD TV and tea/coffee making facilities. Private parking is available on site (reservation is not possible) and costs GBP 37 per day. 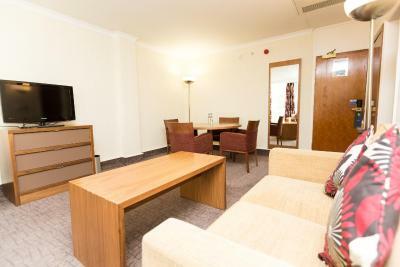 This air-conditioned room features an LCD flat-screen TV, private bathroom and tea/coffee making facilities. 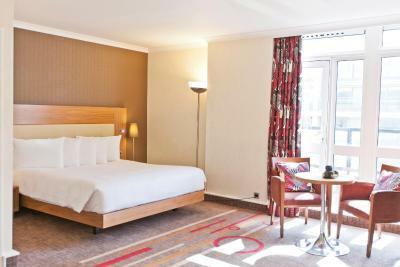 This room features a work desk, Wi-Fi, bathrobe and slippers, mineral water and refreshing bathroom amenities. 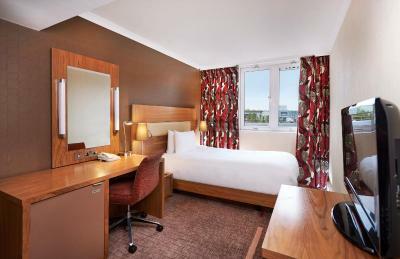 Featuring Executive benefits, work and separate sitting area and complimentary Wi-Fi. 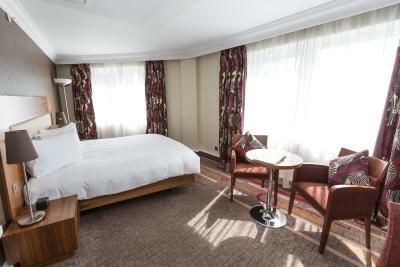 This stylish suite has one queen bed and a comfortable separate sitting area. Guests can watch movies on the wide-screen TV or refresh in the elegant bathroom with granite vanities and indulgent bathroom amenities. 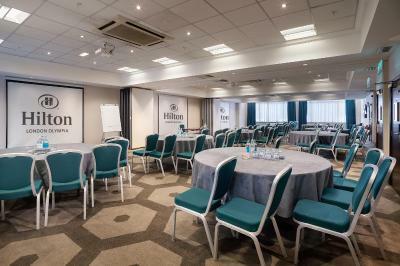 With Executive Lounge access offering complimentary continental breakfast and refreshments. Special touches include mineral water, bathrobe and slippers. 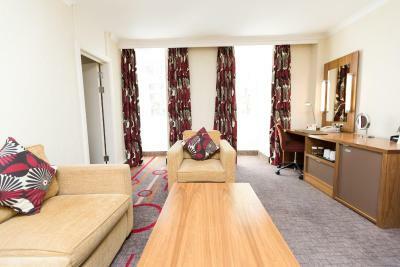 This stylish suite has a sitting area, a work desk, Wi-Fi and a wide-screen TV. The elegant bathroom features indulgent free toiletries. Special touches include plush bathrobes and mineral water. 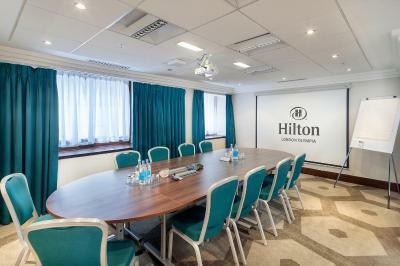 This room includes Executive Lounge access with free breakfast and refreshments, a work desk and on demand movies. Special touches include bathrobe, slippers and mineral water. The elegant bathroom provides refreshing bathroom amenities. 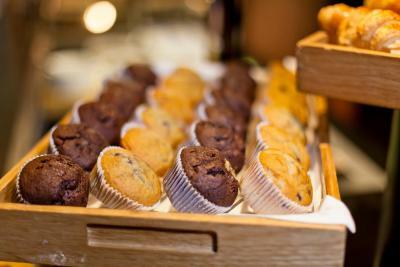 Guests have Executive Lounge access for complimentary continental breakfast and refreshments. Special touches include bathrobe, slippers and mineral water. 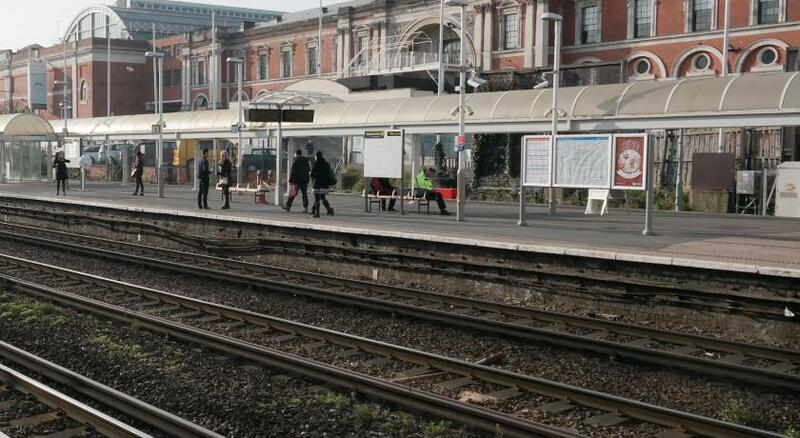 Suitable for two adults and one child under 12 years old. 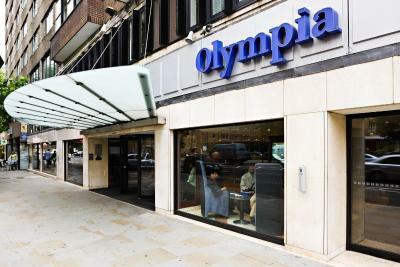 The Hilton London Olympia was opened in 1966. 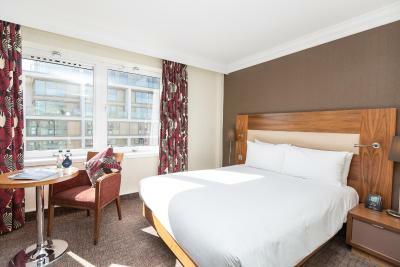 The property was completely refurbished in 2012. The hotel has approximately 120 staff members to serve guests. WiFi is available in the hotel rooms and costs GBP 12.99 per 24 hours. 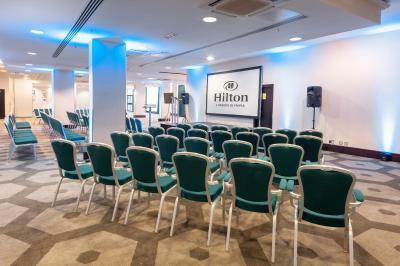 House Rules Hilton London Olympia takes special requests – add in the next step! 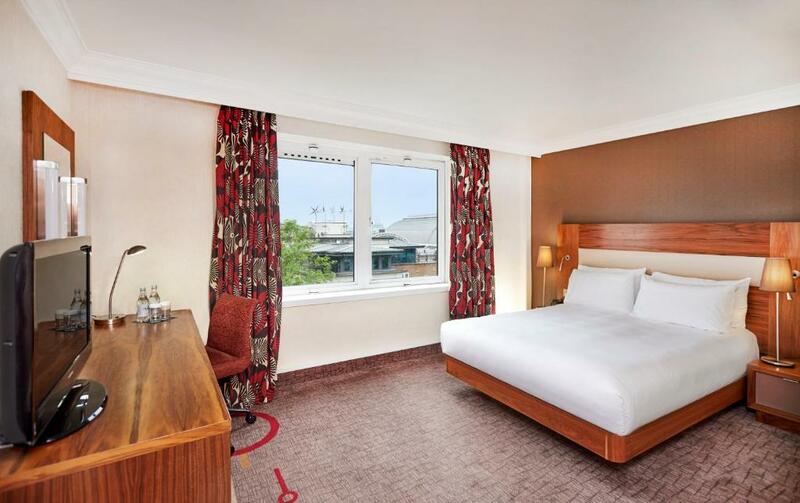 Hilton London Olympia accepts these cards and reserves the right to temporarily hold an amount prior to arrival. 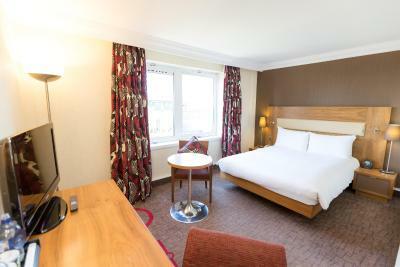 Please note that extra beds are subjected to availability and just upon confirmation from the hotel. Please note WiFi is free for Hhonors members. 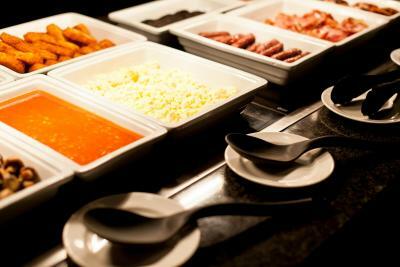 The breakfast was outstanding and the staff were so friendly and attentive. Very impressed with the level of customer service. I will be back and will recommend to my friends and family. It was not as beautiful and clean as I expected as the name of the hotel was HILTON. However, it’s clean enough to stay comfortably. Room very dark. Frosted window onto somewhere dark. Ugly and depressing so shut the curtains. Bed was comfy. Breakfast was excellent. The noise from outside. Your windows could do with replacing with triple glazing. I was woken every night with police sirens, because the windows are not substantial it sounded as if the window was open and not closed as they were. The friendly and helpful staff. Lots of choices at breakfast.